Niagara Falls (ON, Canada) Pick up of the car once at Toronto (City or Airport) or at Niagara Falls. 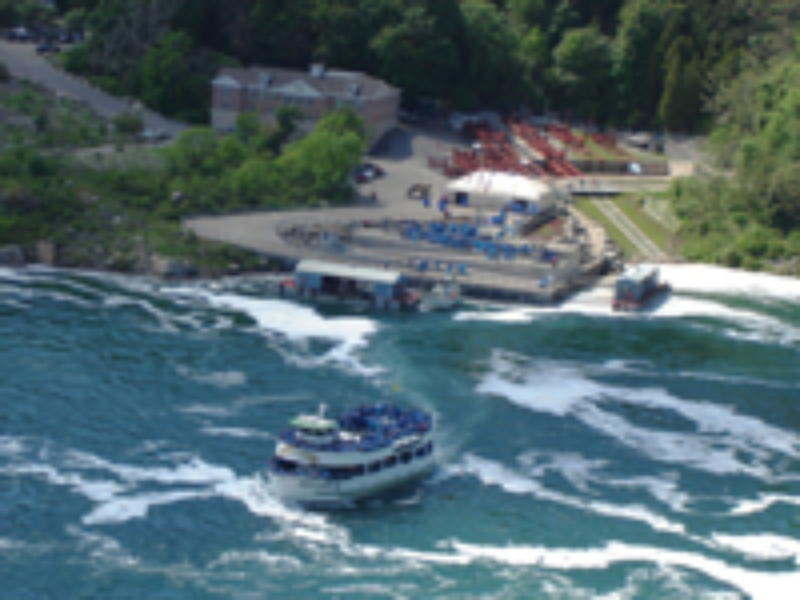 Check in at the hotel and enjoy the attractions and wonders of Niagara region: Maid of the Mist; Niagara Fury; Walk on white Water and the Journey Behind the Falls. Overnight at Hotel Sheraton on the Falls. Niagara Falls (ON, Canada) Full day to enjoy the main attractions around Niagara region: Niagara on the Lake, town located in Southern Ontario where the Niagara River meets Lake Ontario in the Niagara Region. It is suggested a visit to Fort George, the British Army’s Centre Division headquarters during the War of 1812; the Brock's Monument (185 ft) dedicated to Major General Sir Isaac Brock, one of Canada's heroes of the War of 1812 and the Floral Clock. Drive to Toronto and tour the CN Tower, Sky Dome, Dundas Square, Lake Shore, Hockey Hall of Fame; Toronto Harbor front, Royal Ontario Museum, Casa Loma, Eaton Centre and the trendy Village of Yorkville. Those who love playing golf will enjoy some of the main courses in the area: Grand Niagara Glof; Legends on the Niagara; Whirlpool Golf Course Overnight at Sheraton on the Falls. Washington D.C - New York City 7:00 Breakfast at hotel 15:00 Arrive at the airport and return the car. Flight to New York City At arrival, pick up the car and drive to the hotel previously book by Majestic Tours. Check in and overnight at the hotel in New York previously booked by Majestic Tours. New York City Breakfast at the hotel. Visit the main attractions of the city and do some shopping the last the day of the tour. Drop off of the car in the afternoon Take the afternoon free to have a walk down town NYC and enjoy one of its restaurants or theaters. Overnight at the Hotel.